NOTE: This is no longer functional in AspDotNetstorefront software as FedEx no longer supports this tool. 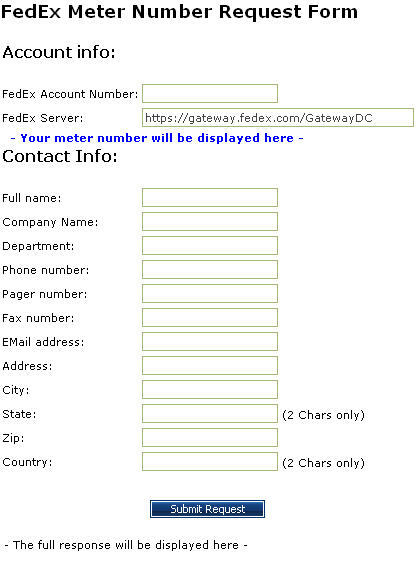 Please obtain your FedEx Meter number through the FedEx website per the instructions at the end of this article. This page allows store admins to request a FedEx meter number, one of the required values for setting up realtime shipping rates for FedEx. You should only have to do this once per account. To request the meter number, simply fill out the entire form and click the 'Submit Request' button.